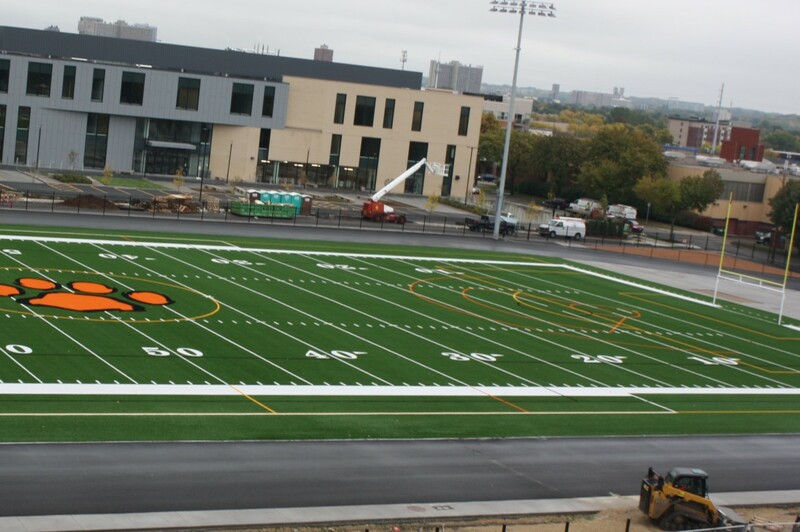 Barnard Field is undergoing major redesigns, it now features South High’s tiger paw logo in its center and several changes are being made to improve the track and the field itself will now use turf. These are some of the things we can look forward to for when the field is open again later in the school year. Olson isn’t the only one excited, this feeling is shared by the rest of the team too. “All of us are so excited to play, we’re bummed we couldn’t play on it this season but especially for the girls who are gonna have their senior year on that field we’re all super excited to have home games and we’re hoping that since the field is redone and its nicer maybe we’ll get better turnout at our games because of that so we’re all super psyched,” she said.